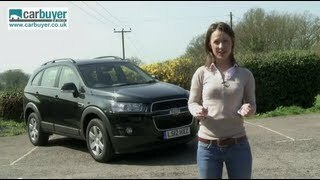 Chevrolet Captiva 2012 will join the other three Chevrolet world debuts at the Paris Auto Show 2010: Chevrolet Orlando MPV, Chevrolet Cruze Hatchback and the Chevrolet Aveo. 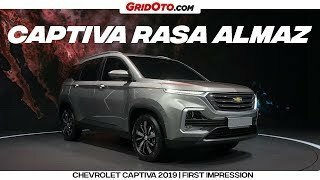 The new 7-seater SUV, Chevrolet Captiva gets a facelift with a new front design, enhanced interior and more powerful and efficient engine line-ups. 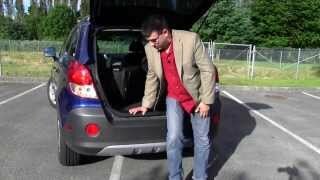 The targetted launch date for Captiva 2012 in Europe is Spring 2011. The new Captiva SUV will be seen for the first time at the Paris Motor Show, sporting a new front end design, a range of enhancements to the interior and new engines and transmissions. Captiva will be one of four Chevrolet world premieres. 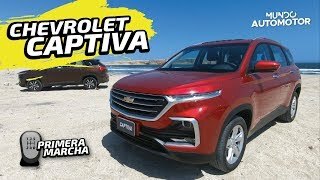 Captiva is Chevrolet's full-blooded sports SUV with confident and dynamic new styling and an active on-demand all-wheel drive system that distributes power as needed. At the same time the new Captiva retains the advantages of its adaptable, theatre-style seating in three rows which comfortably accommodates up to seven passengers. The Captiva has won many friends for its exterior design since its launch in 2006, and with the new model it will get even better. A number of features are immediately noticeable when viewing the new Captiva from the front, adding up to its athletic stance: the re-shaped and sharply sculptured bonnet, a new larger grille and the Chevrolet 'bow-tie' sited proudly in the middle, prism style headlamps and integrated LED turn signals on the outside rearview mirrors. Moving round to the front wings, the side air-vents now take on a more angular shape to emphasize the new Captiva's sporting intent, while from the A-pillars back the Captiva retains its handsome profile, characterized by a sleek, rising shoulder line. Setting the new Captiva's body off perfectly are the new exterior color palette and the accentuated wheel arches which will accommodate wheel sizes of 17 to 19 inches. The new 2.2 litre common rail turbo-charged diesel units will be available with either 163 or 184 hp outputs, while the 2.4-litre dual overhead cam gasoline unit with variable valve timing, is rated at 171 hp. The new Captiva's chassis has been re-tuned to further enhance vehicle dynamics, improving cornering, roll characteristics and ride feel. With Electronic Stability Control (ESC), Traction Control System (TCS) and Braking Assist System (BAS) standard, as well as front-, side- and curtain airbags, the Captiva provides a high level of safety. Climb aboard the new Captiva and driver and passengers will still be welcomed by that airy and spacious interior, with storage space that is among best in class and with the option of either 5 or 7 seats. The Captiva's upgraded interior now features an array of new finishes and textures including all-new seat fabrics and interior décor appointments to give the car a more up-market feel and look. Designers have put to good use some of the elements featured on other new Chevrolet models, such as the ice-blue back lighting and the 'wrap-round' design of the front fascia which flows into the front driver's and passenger doors creating the dual-cockpit look. The new Captiva features Hill Start Assist, eliminating "roll-back" on hills and an electric park brake that opens up space for further storage in the center console, including two 1-liter cup holders. The new Captiva's audio system includes Aux-in, USB-port and Bluetooth connectivity. Passengers will enjoy their audio experience all the more thanks to improved acoustic engineering resulting in reduced road, wind and engine noise. Captiva can be ordered with a touch-screen navigation system with rear view camera for parking assistance. 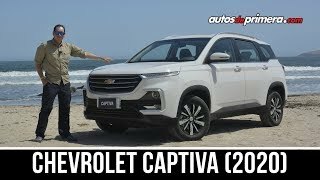 Captiva offers a lot of SUV for its price: powerful, yet efficient engines, all-wheel drive capabilities, roominess and versatility for up to seven passengers. Its launch in Europe is scheduled for spring 2011.